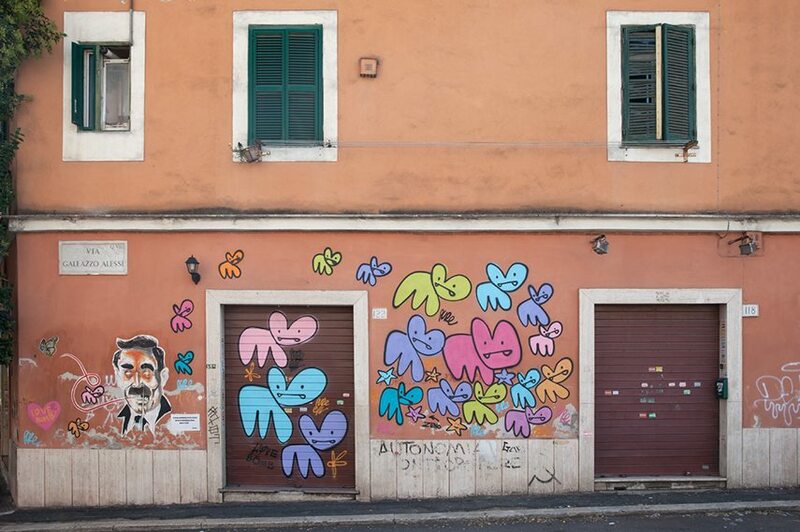 Wunderkammern Gallery in Rome is welcoming Pure Evil, one of Britain’s most famous graffiti artists. Entitled Echoes the exhibition will feature well-known works like the Nightmare series, and also the new series of artworks which have never been exhibited before. 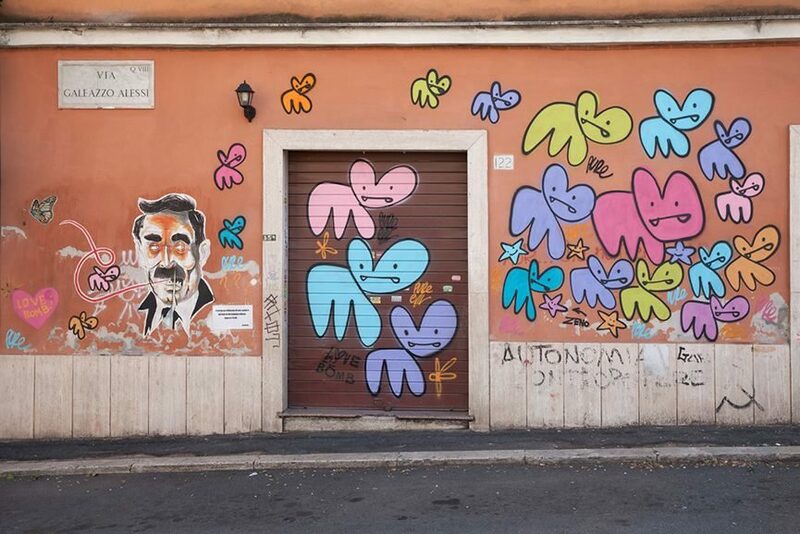 Pure Evil is already in Rome and even though his exhibition starts in a couple of days he is not waiting idly for the opening. 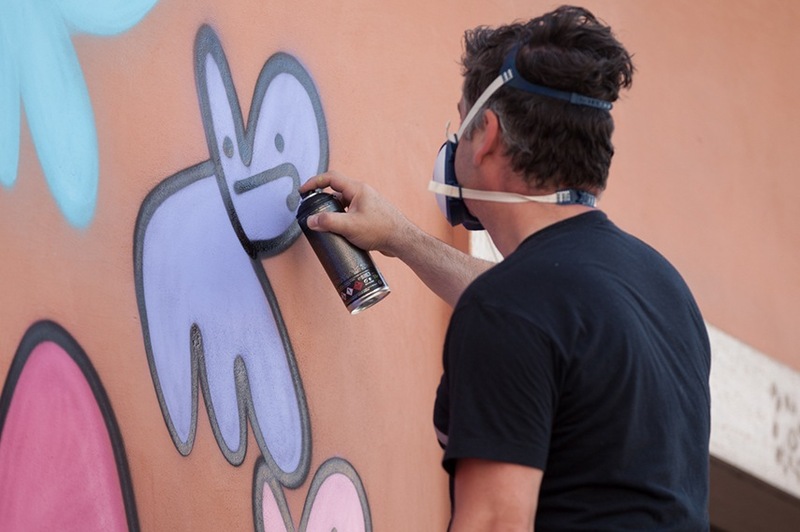 Prior to the show, Pure Evil started working on his mural and street printing performances, creating silk-screen prints in front of the citizens of Rome. Also known by his birth name Charles Uzzell-Edwards, the UK artist has been on the art scene for more than two decades. 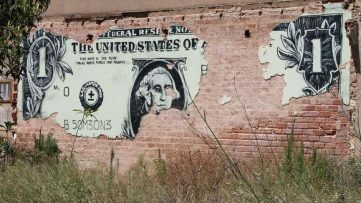 Throughout the years his influences varied from the early impact of his father’s artistry and educational background in design to the West Coast graffiti scene and later collaboration with Santa’s Ghetto group of British street artists initiated by Banksy, with whom Pure Evil also collaborated earlier this year, as one of the participants in Dismaland exhibition. Pure Evil’s signature work is often based on the exploration of bleak and dystopian imagery, satirical comments on pop culture celebrities and distorted bunny rabbit emblems. However, in recent times, due to the tragic personal experience, Pure Evil’s work has taken a more intimate and spiritual turn. His new series are marked by the Asian religious and cultural symbols, as well as the emotional exploration of the past. 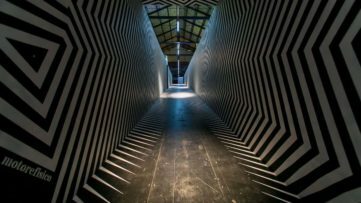 Entitled Echoes the exhibition in Rome focuses on the concept of remembrance. The idea of memory, whether it inhabits our collective thoughts or represents the echoes of the individual past is seen as the inherent part of one’s identity which constantly influences our lives. Most notably the concept of memory is explored in never-before-exhibited Childhood Series which draw their inspiration from fairy tales and children stories and A Temple of Broken Hearts series based on the Asian iconography which came after the artist’s spiritual journey to Asian temples. Both series have cathartic value and represent the personal recollection of artist’s memories, showing the capacity of art to gather what was shattered and lost, and give it a new existence in beautiful creations. 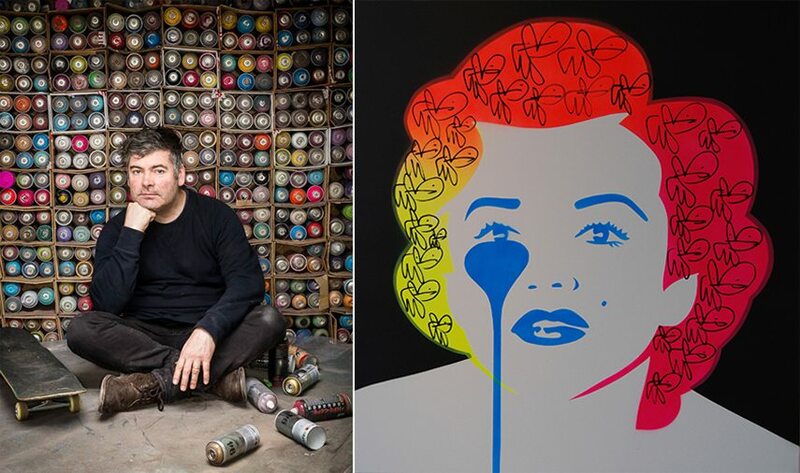 The Echoes exhibition will be curated by Giuseppe Ottavianelli and it will feature works made in different techniques from stencils to silk-screen prints. 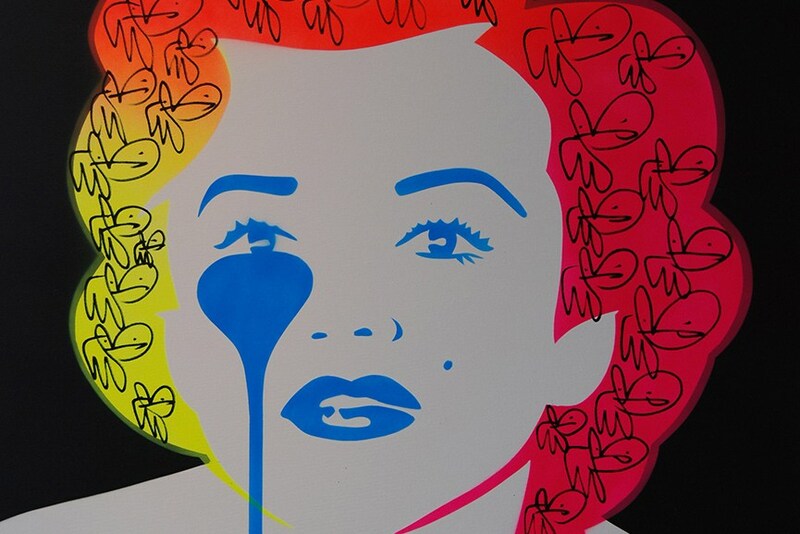 During the course of the exhibition visitors will be able to see Pure Evil’s signature Nightmare series consisting of numerous portraits of Hollywood celebrities marked by the recognizable teardrop emblem, along with two already mentioned sequences of work – A Temple of Broken Hearts and Childhood Series which represent departure from the artist’s previous style. Echoes will be on view from September 26th to October 31st, 2015 at Wunderkammern Gallery in Rome. The opening reception, with the artist in attendance is scheduled for 26th September, 2015, starting from 7 pm. 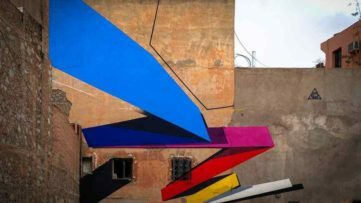 Continue to follow the work of your favorite artists with a FREE sign up for My Widewalls profile!